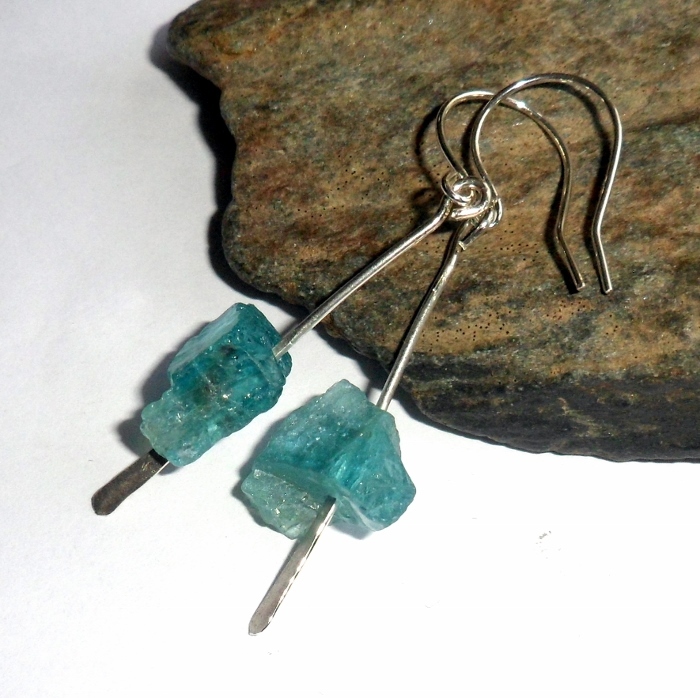 Teal blue raw kyanite gemstones finished on sterling silver earrings. Kyanite aids in speaking the truth, self-expression, and communication. It is a tranquilizing stone that promotes healing dreams, and spiritual attunement. It is a natural pain reliever, aids in healing of infection, and lowering blood pressure. 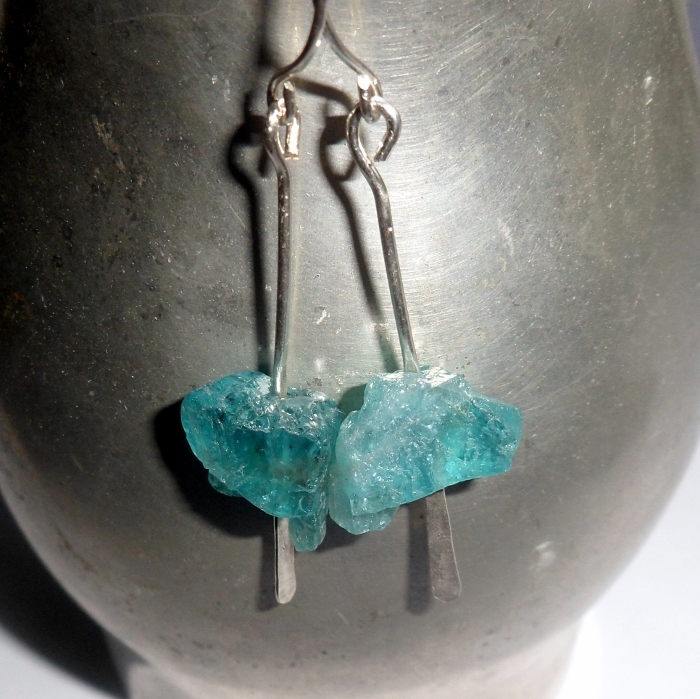 Blue kyanite is especially useful for performers and public speakers. 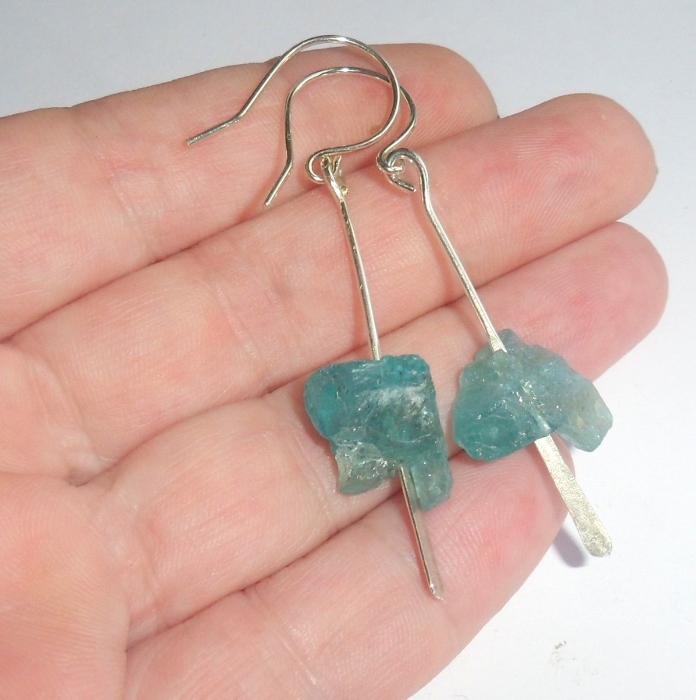 Kyanite gemstones are raw nuggets, approximately 1/2 inch square. 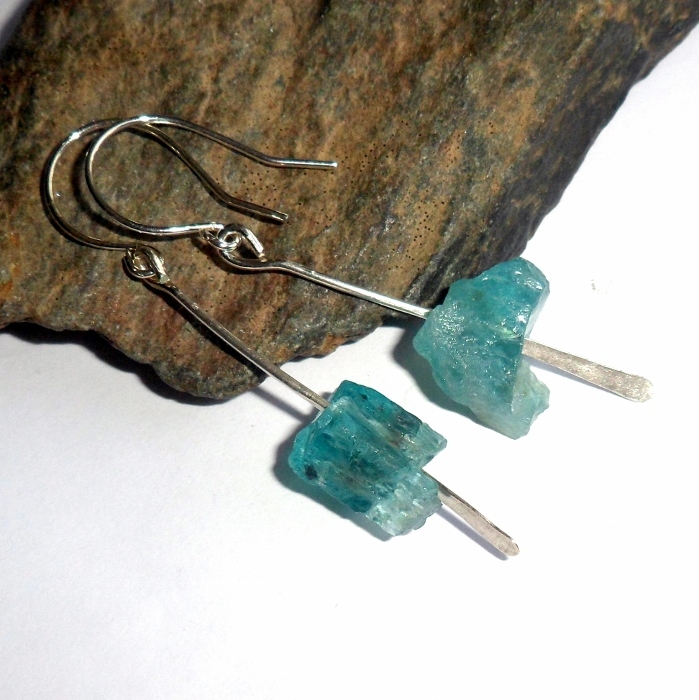 Total earring length 2 1/4 inches.